As it’s been 2 months since my last blog post, I figured it was time for another one. Quite a few things I could write about (SMWCon, my new awesome laptop, Stanfords AI and ML classes, me moving to Berlin, …), but I decided to give some introduction to my most recent MediaWiki extension: Contest. 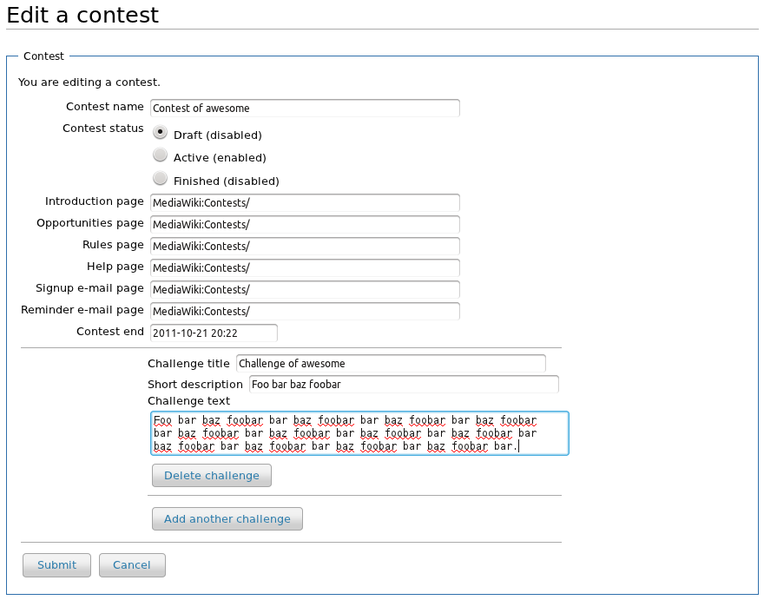 Contest extension that allows users to participate in admin defined contest challenges. Via a judging interface, judges can discuss and vote on submissions. 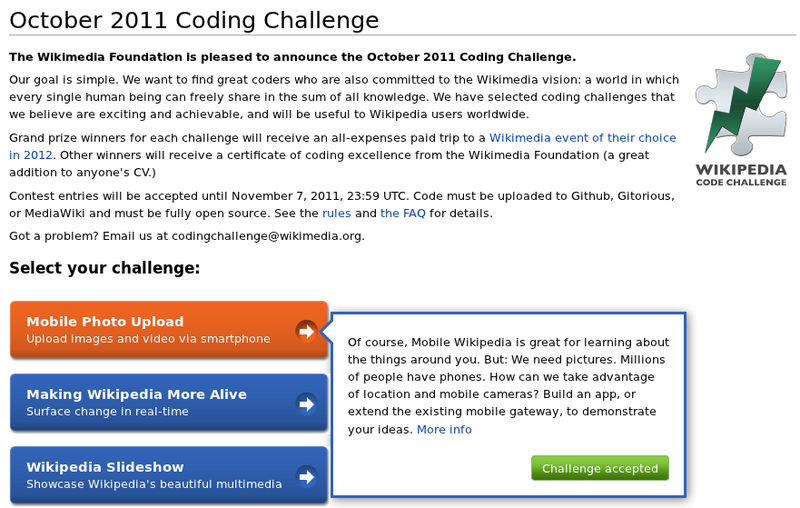 I created it for the Wikimedia October coding challenge, so it got a nice amount of review, uncovering some minor misconceptions I had about some core MW code, and it got deployed on MediaWiki.org. The coding challenge is quite awesome, but I won’t discuss it any further here, so check out the linked blog post if you’re curious/interested. Admin interface for managing contests and their challenges. Landing and signup pages for each contest. Personal contest list and submission interface for each user. Summary pages per contest listing contestants, which can be filtered and sorted. 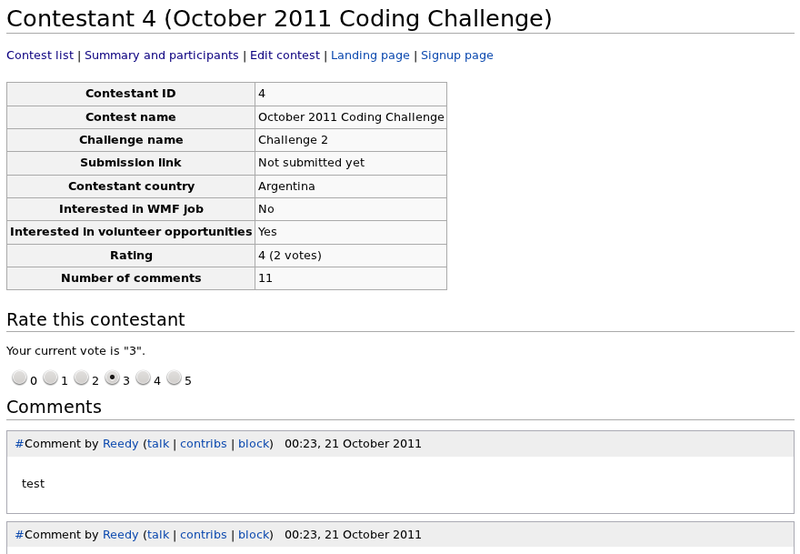 Judging interface that allows for rating and commenting on each participant. All contests, challenges, contestants, comments and votes can be queried and exported via the API. That’s 6 out of 10 just for the extensions I wrote. What it comes down to is that pretty much any extension that has some sort of settings interface that is not user-specific, could use this. And maybe even the user specific ones, which would obviously include the user preferences in MediaWiki core. So why not store this data in wiki pages, such as done by Maps for layers? You could even store it as JSON or serialized PHP objects if you need more complexity… The things with this is that it only works for simple use cases (such as the layers in Maps), and even then is limited. You cannot query over the data as you do not have it in relational form. And you cannot have fine grained access and write rights control over the data, which in a lot of cases is quite important. So a generic solution here would be an awesome addition to MediaWiki if you ask me. 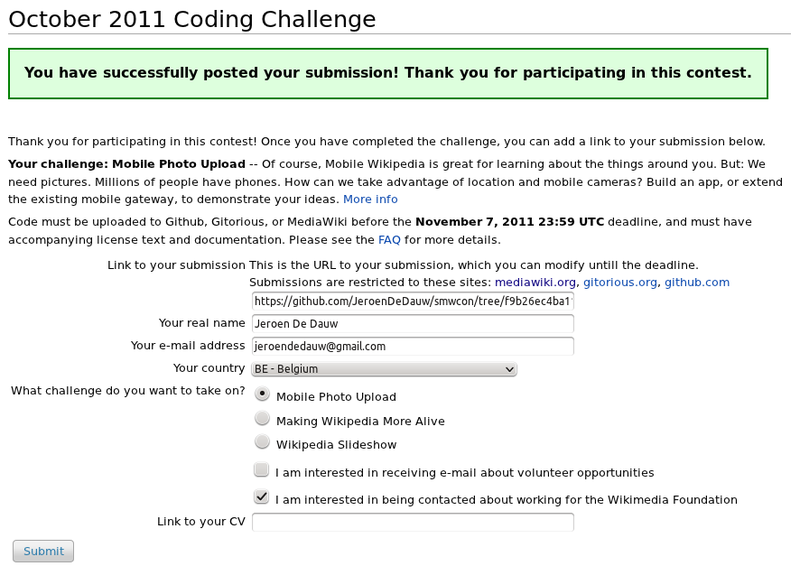 More info on Contest can be found on it’s documentation page.